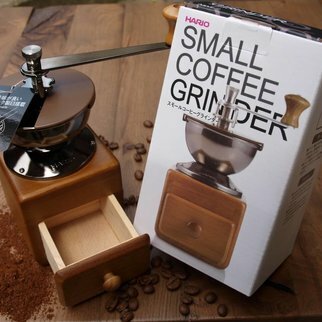 Mill with suction cup (is fixed with a small lever on the side and solved) - for effortless grinding to smooth, stable surfaces (so that the mill during milling is stable, therefore must no longer pinch between your knees). 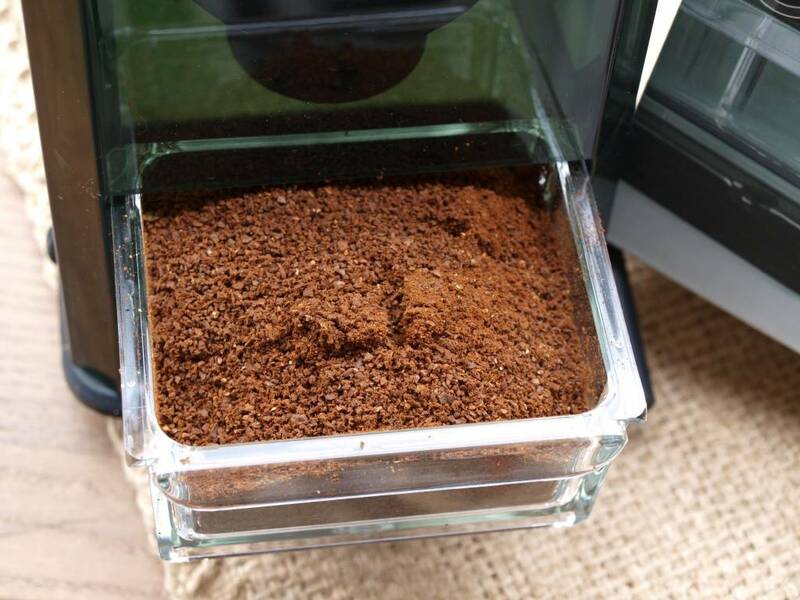 This space-saving coffee grinder in a simple modern design has an integrated suction cup on the ground, be that fixes and solved by a small lever, thus ensuring non-slip and easy coffee grinding. To clean the mill can be disassembled in a few steps into their component parts and are also much storage space. 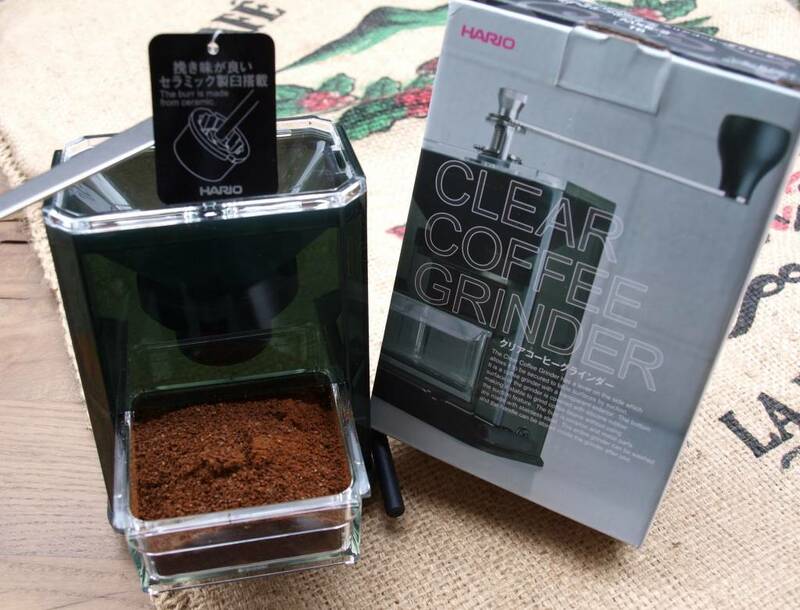 The high-quality ceramic grinding mechanism is infinitely adjustable and can thus provide the perfect coffee for all coffee preparation methods. 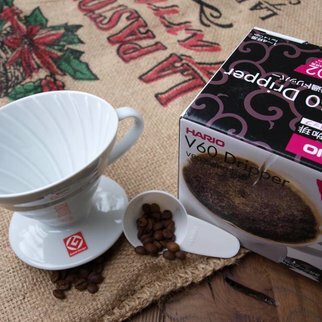 Be it for filter coffee, Bodum, hand filter or espresso. You can easily and simply adjust the gewüschten freeness. 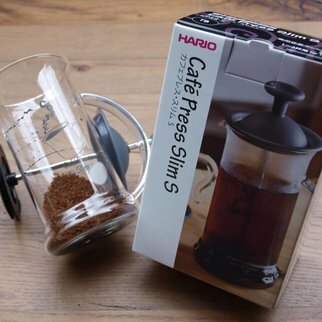 The Hario MXR-2, with its transparent held corpus She's a real looker in terms of design. 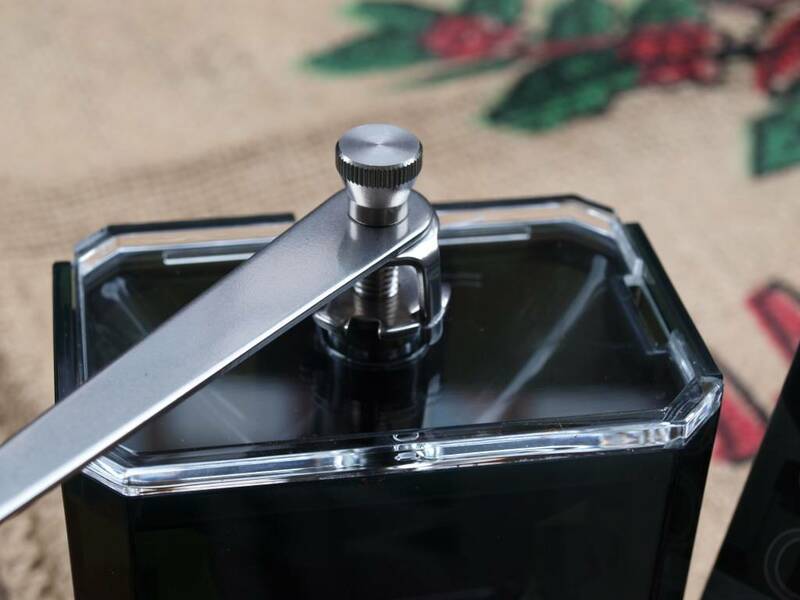 there is a small lever, which is fixed to any smooth kitchen surfaces, the mill firmly ibefindet on the side. 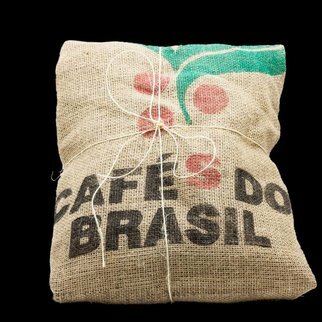 In this mill You need Grandma no longer ask if you served you your coffee as previously clamped between his legs. For easy storage in the closet, the crank can be removed and sunk in the mill. 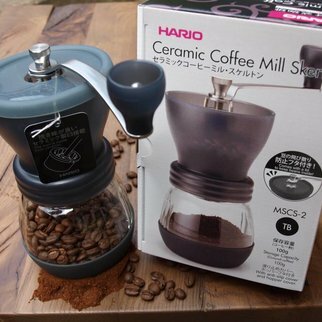 So you can accommodate all the Hario MXR 2TB Clear Grinder Coffee Mill.